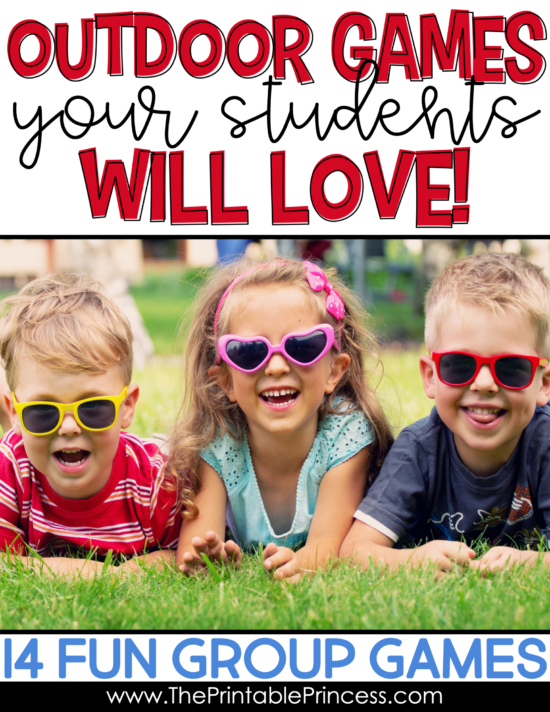 When spring arrives and the weather warms, it’s a perfect time to get outside and play with your students! 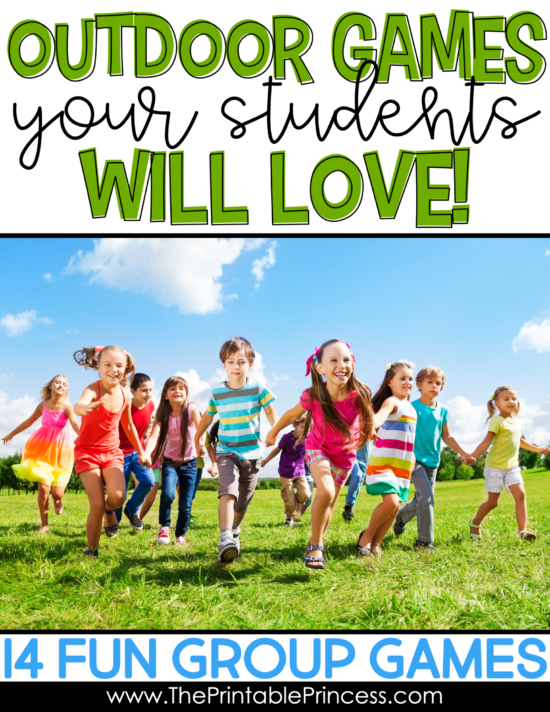 These outdoor games for kids will give you a chance to not only have fun and get some exercise, they’ll also reinforce the positive community spirit you’ve instilled in your classroom all year long. 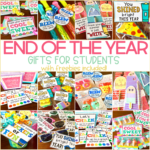 These games and activities are perfect for students in kindergarten and first grade. This Outdoor Games for Kids article, along with many other articles on The Printable Princess, contains Amazon affiliate links. If you purchase through the links I earn a small commission. Clicking these links does not cost you any extra but helps this website to keep great articles and freebies coming your way. You can sneak in a little content like word recognition and addition into a few of these outdoor games for kids, but most of them are designed to just enjoy being outdoors together. For a few of these games you’ll want some orange cones to set clear boundaries. For this game you’ll need two teams. One team will be the Builders and the other will be the Bulldozers. Before the game begins set up a series of cones in a wide open space. When you call go, all the players will run onto the field. The objective for the Bulldozers is to knock over cones, using their hands only to gently tip them over- no kicking! The objective for the Builders is to return the cones to their upright position. Each player keeps track of their own points (one point for each cone either knocked over or picked up). At the end of the round (2-4 minutes) the teams come together and add their points together. You may want to supply each team with a dry erase board and marker to add up their points. This is one of my favorite outdoor games for kids! All the players sit cross-legged in a big circle. Pick one player is chosen as the Detective, and two players to be the Guards. Guard number one leads the Detective away from the circle and makes sure his or her eyes are closed and their ears are plugged. Another player from the circle is chosen as “It”. It will be the leader of the group from their seat in the circle. It will choose actions like clapping, snapping, touching their shoulders, etc. for the other players to follow. Guard number two stays close to the circle to learn who “It” is, then, once the first action begins, brings the Detective and Guard #1 back to the circle. Guard #2 whispers the identity of “It” into Guard #1’s ear, then both guards join the circle and begin making the actions with the group. The objective for the Detective is to guess who is It. For It, the objective is to change the motions when the Detective isn’t looking. The objective for all the other players is to follow the leader (It) without giving away his or her identity. The Detective gets three guesses to uncover the identity of It. It becomes the Detective for the new round and two new guards are chosen. All players lay on the ground on their back, forming a line as if they are all asleep in one long bed. The teacher is the Caller. The objective of the game is for the Sleepers to jump up to their feet when they hear “Fire on the roof!”. The last player in an upright position joins the Caller’s team. Once players join the caller’s team they can help come up with phrases. The last Sleeper can be the next Caller. Play this game in an open field with two marked ends. You can use cones or a jumprope as the finish line on each side. One player is chosen to be “the shark” and the rest are “minnows.” The minnows line up at one end. When the shark calls out “Minnows, swim to me!” all the minnows try to get from the designated starting point to the designated finishing point without getting tagged by the shark. Students who are tagged by the shark, become seaweed. You must sit down cross-legged and may use your hands and arms to tag minnows in the next round. The last minnow standing becomes the next shark. Pick one student to be the “artist”. The rest of the kids will be art pieces in a gallery. One by one, the artist takes each student by the hand and spins them around several times before letting them go. However the student lands, they must freeze like a sculpture. Once all of the “sculptures” have been formed, the artist mingles among them, trying to get one of them to laugh without touching them. The first sculpture to giggle (or if you’d rather, the last) is the next artist. This is one of those outdoor games for kids that’ll allow you to sneak in some content review. Before the game begins, prepare several balloons by blowing them up and writing a high frequency words or sight words from your grade level list on each balloon with a Sharpie. 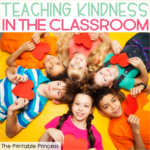 Have your students form a circle. Toss in one balloon with a vocabulary word written on it. The objective is to bat the balloon around the circle while preventing it from dropping to the ground. The twist is, before a player can hit the ball (hands only!) they must read the word out loud. The first round should be pretty easy. When the players seem to have the hang of it, introduce another balloon with a different word. Now they must keep two balloons afloat! Every few minutes, introduce a new balloon and a new word. When a player either doesn’t say the word before they bat the balloon away or allows the balloon to drop, they must sit down. 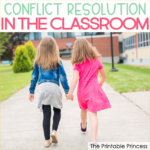 For this activity, choose an outside area that has clear boundaries. For example the west side of the playground from the baseball field to the storage shed. Or use plastic cones to create a boundary. Make sure students understand the boundaries so that no one wanders off. Divide your class into partners and give each duo a plastic bag to hold their items. Create a home base where you will station yourself with a large poster listing the scavenger hunt items, for example, two sticks, one green leaf, one piece of litter, four rocks, etc. On your call the teams will head out and search for the items. They may return to base as often as they like to check the list. Once they have collected all the items they will stay at home base with you. Have your students partner up. Encourage them to pick someone that they don’t always work with. Ask the teams to spread out so that each team has space to move. You will be the caller. Begin by calling out an action that involves the partners joining together two body parts. For instance, “ear to ear!” or “knee to knee” or “finger to finger”. Go through a few rounds, call out “Switch!” Players will have to find a new partner. Begin the game again once everyone is settled in their space. When you call out “person to person”, players should stand back to back, glued together. Before the game, cut a bunch of 12 inch sections of brown and green yarn to represent the “Snakes” and “Worms” and hide them around an outdoor area. Take the students out and divide them into two teams- the Snakes (green) and the Worms (brown). Designate two Captains for each team. The Captains will stay on base, so if there are students who are less mobile, this would be a good position for them. The rest of the players on each team will be Searchers. When you call go, the Searchers will run out into the designated area and search for their colored yarn segments. Once they find one, they will bring it back to their team’s base and give it to the Captains. The Captains’ job is to tie the pieces of yarn together. Set a specific amount of time and when time is called, the team with the longest “Snake” or “Worm” wins. This game is a fun version of tag. One or two people are designated as taggers, or “It”. Set boundaries and call go. The objective is to run (or skip, or gallop, etc.) and not to get tagged. If a player does gets tagged, they must stop and stand with their feet planted on the ground in a wide stance (like they are stuck in mud). They only way they can get back into the game is to be released by someone who crawls under them, through their legs. After a set amount of time, choose new taggers and continue. This activity is great if your school grounds have a long stretch on concrete sidewalk available. It takes just a bit of prep work. Before you take your student out, draw a chain of 26 large squares on the concrete, and label each square with a letter of alphabet. Bring your kids out and supply them with buckets of sidewalk chalk. Give them free choice to draw images that start with the letter in any given square. You’ll be amazed at how creative they can be! Gather students on a large field and set out four bases in the shape of a square- with each base being a different color on each corner of the imaginary square. Pick one student to be in the middle. All of the runners must then go to one of the colored bases and stop. The person in the middle counts to ten, then calls out one of the colors and opens their eyes. Any runners who chose the base of that color is out. Continue until there is only one player left. Then that player can be the new person in the middle. There are so many fun games to play with a hula hoop. This one is a favorite challenge for younger students. All player will form a circle and hold hands. You will break up one of the sets of players and have them rejoin their hands in the middle of a hula hoop. Next, the players will attempt to pass the hula hoop all the way around the circle without disconnecting any of the joined hands. Some traditional outdoor games for kids never get old. Like this one! Play this game on a large field with two finish lines, one at either end of a long stretch. Assign one player to be the traffic cop. That player will stand behind one of the starting lines and all the remaining players will line up on the opposite starting line. The traffic cop will turn away so that his or her back is facing the other players and call out “green light!” Players will speed walk across the field, attempting to cross the traffic cop’s finish line before they turn around. However, the traffic cop can call out “red light” at any time. Once they do, they can turn around and the other players have to stop. Play continues as the traffic cop calls out green light and red light and the other players get closer and closer to him or her. The first player to pass the finish line wins and becomes the next traffic cop. We spend so much our time in the classroom focusing on work, work, work. It’s super refreshing to get outside and bond with our students by playing fun outdoor games and activities with them. Challenge yourself this spring to try as many of these outdoor games for kids as you can!